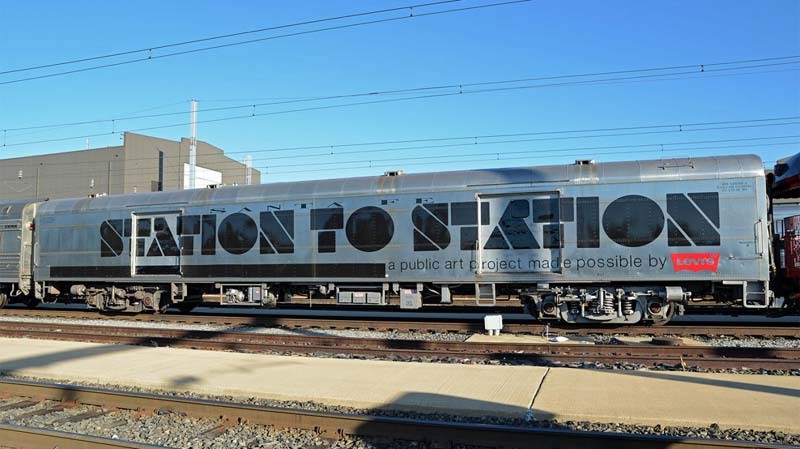 On Friday night, eagerly anticipating the arrival of Doug Aitken‘s (previously here) latest project Station to Station, I went to the first stop and kick-off of this unique multi-city art and music ”nomadic happening“. The pre-event coverage was rather vague, so I was trying to wrap my head around how a train was going to make its way over to the Williamsburg waterfront and, well, the answer is, it didn’t. 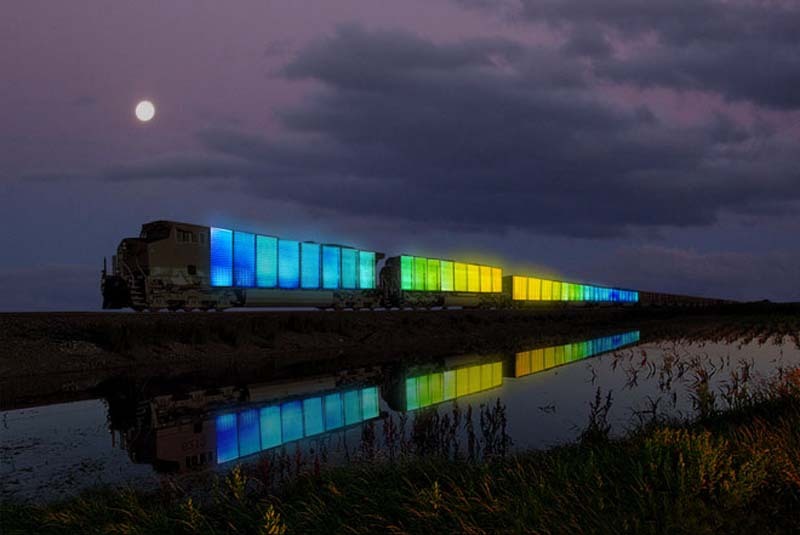 In fact, the beautiful glowing train exists, but—at least at the New York stop—it wasn’t included in the actual event, but rather, as the means, cool as it may be, of transportation for the artists, musicians, chefs and other participants. Back to Station to Station. The event will be traveling all the way to San Francisco within the next three weeks making stops in nine cities and including different artists and performers in each location. If you can’t catch it live, the site is designed in such a way to be able to experience the events virtually. Definitely a great concept filled with great talent with proceeds going to support non-traditional programming at nine partner museums around the country. 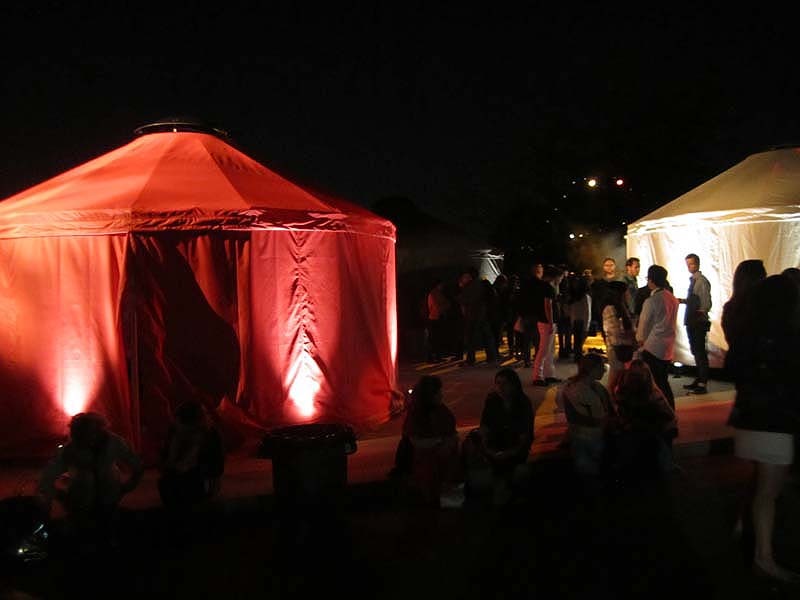 This entry was posted in Art, Event, Film, Music, NYC, Pop Culture, Stuff We Like. Bookmark the permalink.